Easily import music, videos, record audio, apply effects and edit channels. 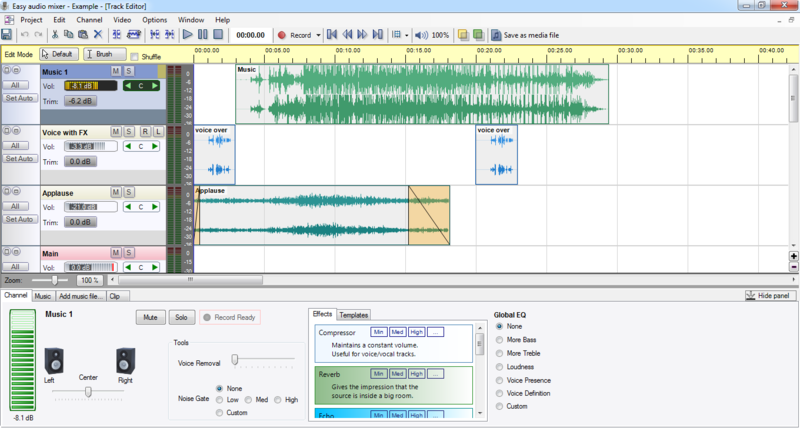 Once finished, export your project to audio and video files. - Import wav/mp3/mp4/ogg and wma (windows media audio) files.